DeLeT (Day School Leadership through Teaching) is a MAT degree program that opens a door to day school teaching. DeLeT prepares recent college graduates and career changers to teach in the elementary grades in Jewish day schools. The Hebrew Language Summer Institute takes place at Brandeis University in Waltham. Students learn modern Hebrew from dedicated instructors who have an average of 18 years of Hebrew teaching experience. The Office of High School Programs at Brandeis runs several summer programs for teens. The Ruderman Fellows Program strengthens the relationship between Israeli political leaders and the American Jewish community. The Women’s Studies Research Center (WSRC) at Brandeis University is an innovative, interdisciplinary research facility of scholars, students and faculty who study gender issues and women's lives. The Brandeis-Genesis Institute (BGI) is an initiative that prepares Russian-speaking students from around the world to become effective community leaders fortified by Jewish knowledge, a systematic understanding of Russian Jewry, and a commitment to the future of the Jewish people. The Crown Center is committed to producing balanced, objective, and dispassionate research regarding all aspects of the contemporary Middle East. 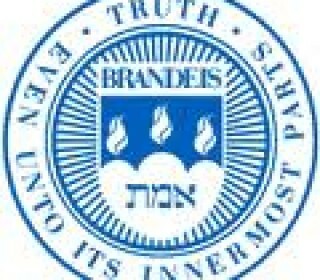 Hillel at Brandeis University provides a rich and vibrant Jewish life on campus. The Hornstein Jewish Professional Leadership Program: dual-degree master's programs for the next generation of Jewish leadership. The Mandel Center is dedicated to improving Jewish education through rigorous study of the core practices of teaching and learning. The Schusterman Center for Israel Studies is dedicated to promoting exemplary teaching and scholarship in Israeli history, politics, culture, and society at Brandeis University and beyond. The Tauber Institute is devoted to the study of modern European Jewish history, thought, culture and society.